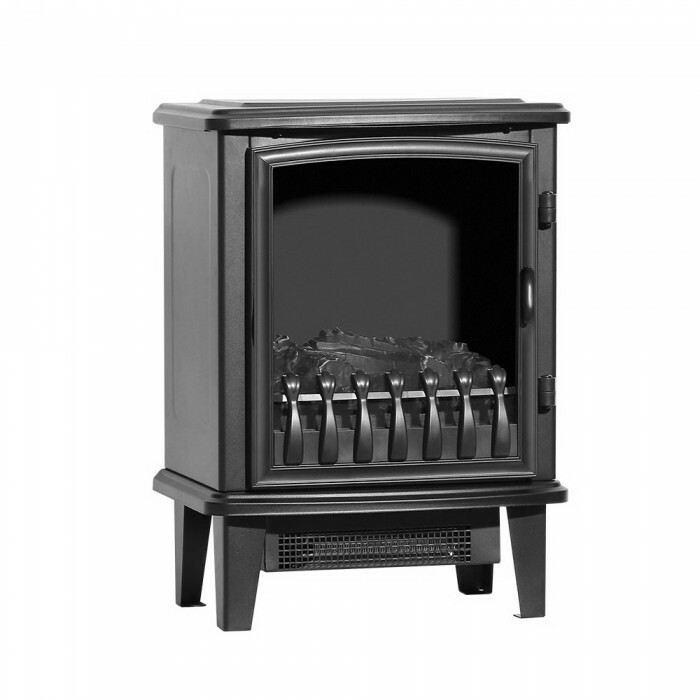 Old world charm with a modern touch. 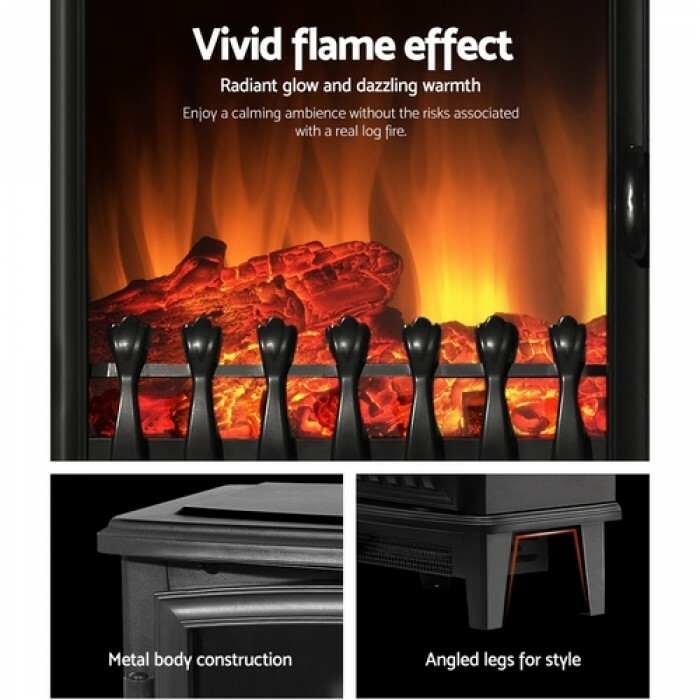 The Devanti Electric Fireplace delivers dazzling warmth with radiant glows. 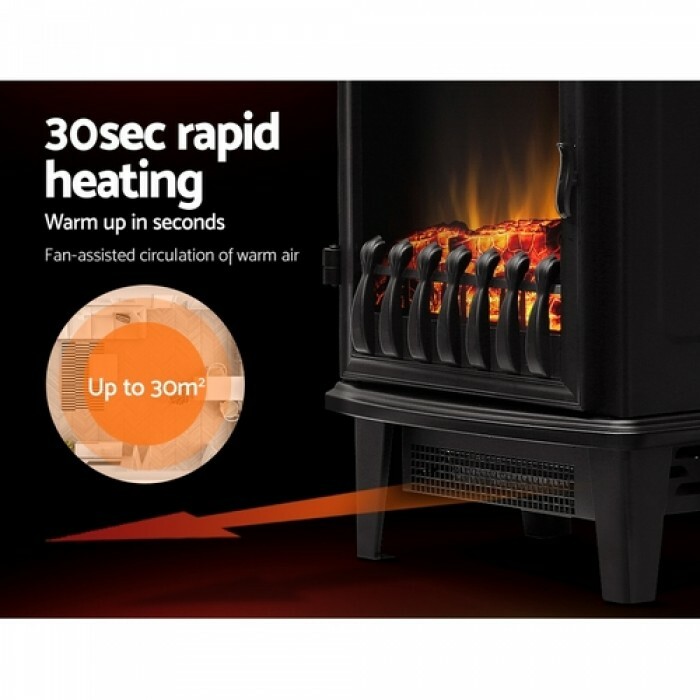 The freestanding radiant heater features a durable metal body construction with angled legs for safety and stability. 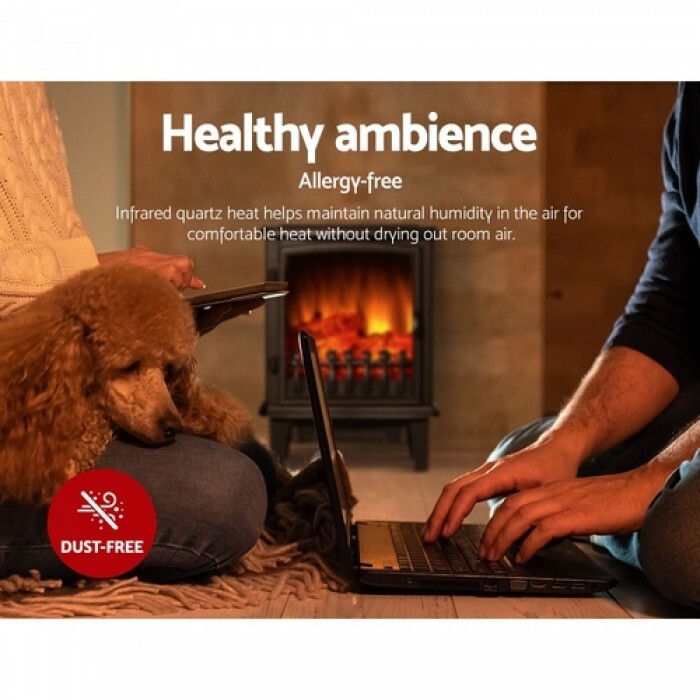 More importantly, the infrared quartz heating elements actually helps to maintain natural humidity in the air for comfortable heat without drying out the room air. 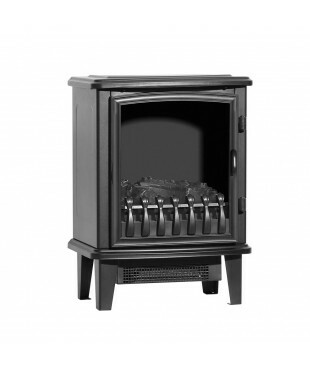 The heater heats up rapidly and uses over 90% less energy than gas for better costs savings. 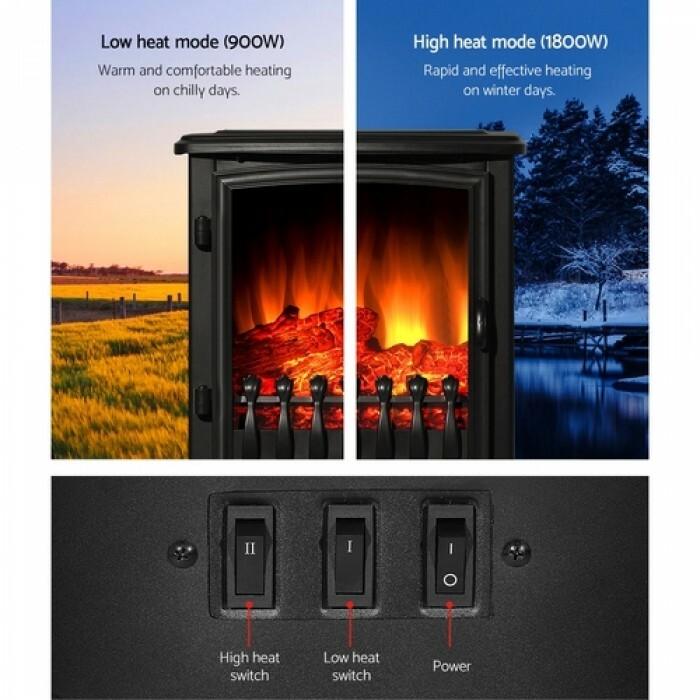 It features two heat settings and has a fan that helps to circulate the warmth air around the room. 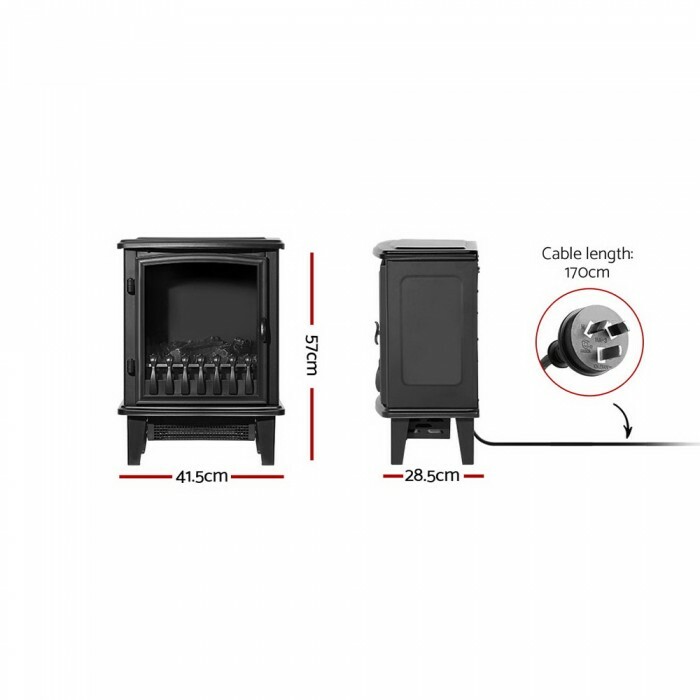 Added safety includes overheating protection, a safety tip-over switch and no worries about carbon dioxide emissions, odours or fumes from traditional fireplaces. 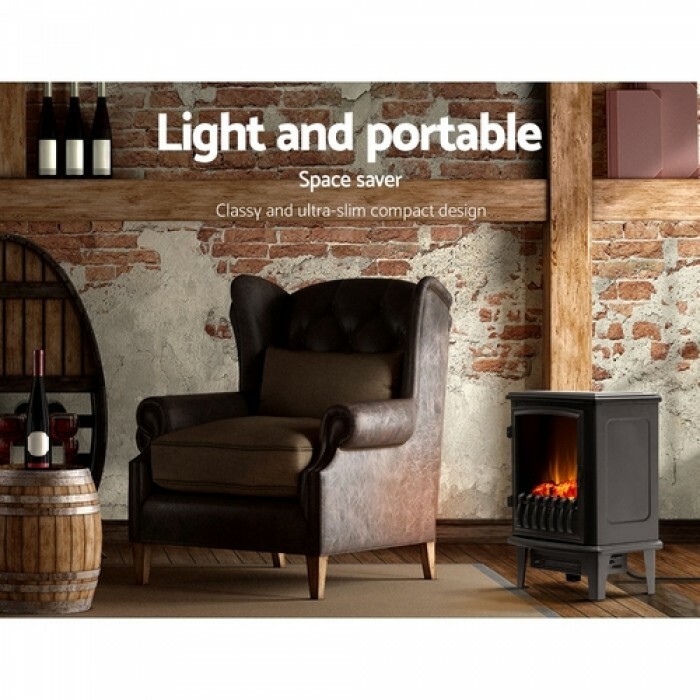 Best of all, the LED log fire effect provides total realism for a heartwarming experience.